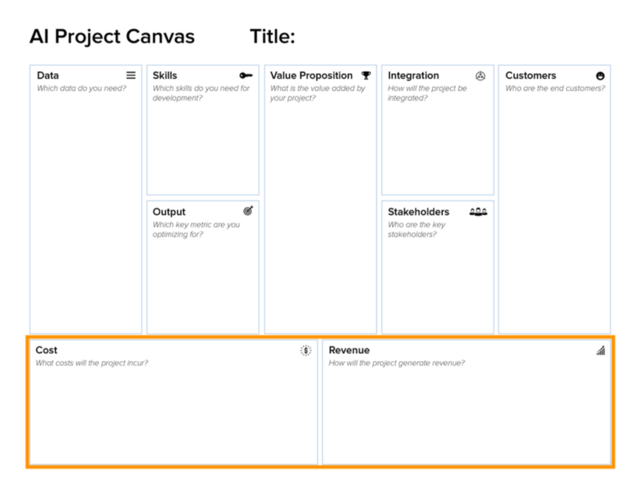 Use the adapted Business Model Canvas to pitch your next AI project. Creating an AI Project always involves answering the same questions: What is the value you’re adding? What data do you need? Who are the customers? What costs and revenue are expected? 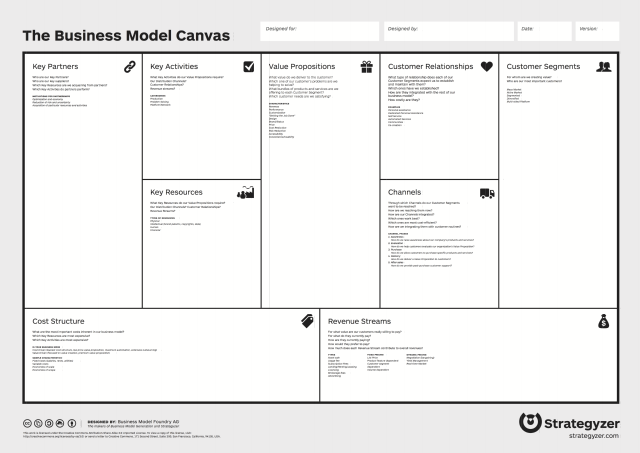 In 2008, Alexander Osterwalder developed the Business Model Canvas, which has since enjoyed tremendous success in explaining business models around the world. What used to take a 30-page business plan to detail a business idea, could now be captured on one page. It works well with the Lean Startup methodology, enabling you to focus on value-adding activities and quickly creating MVP-driven products. The Lean Startup cycle consists of the build-measure-learn feedback loop. As a Data Scientist, you will embrace this Lean methodology. Prototyping a solution and iterating until reaching the key metric is at the heart of any successful AI project. Thus, it is a natural fit to adjust the Business Model Canvas for AI projects. As a former Management Consultant and as a current Project Lead for Data Science, my background helped me design the AI Project Canvas. The AI Project Canvas will help you answer the most pressing questions about the outcome and resources needed for your AI project. 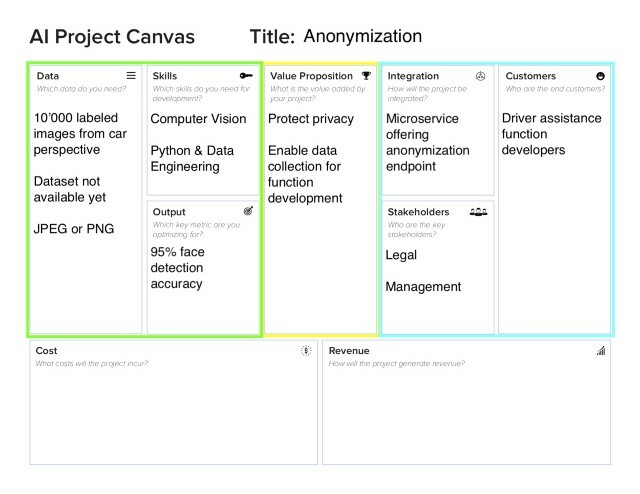 This post explains the AI Project Canvas along with real-world examples. Download the editable or blank canvas here. Imagine the following scenario: You have a brilliant idea for a new AI project. To make it happen, you need to convince management to fund your idea. You need to pitch your AI project idea to stakeholders and management. Yuck. This is the first step where the AI Project Canvas comes into play. 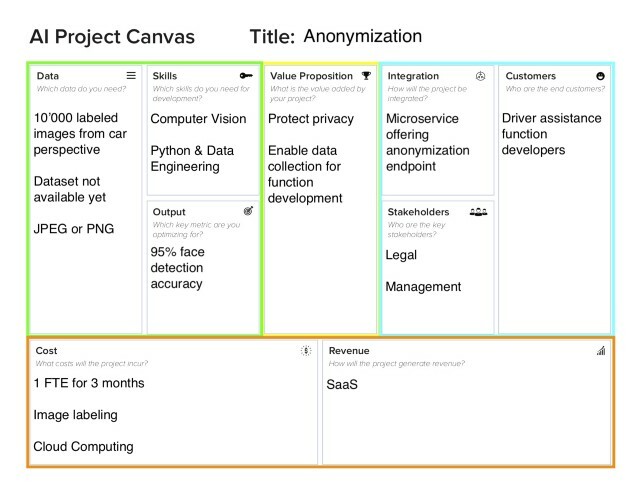 Although Louis Dorard has already created the ML Canvas, the AI Project Canvas focuses on explaining the business value of your AI project. 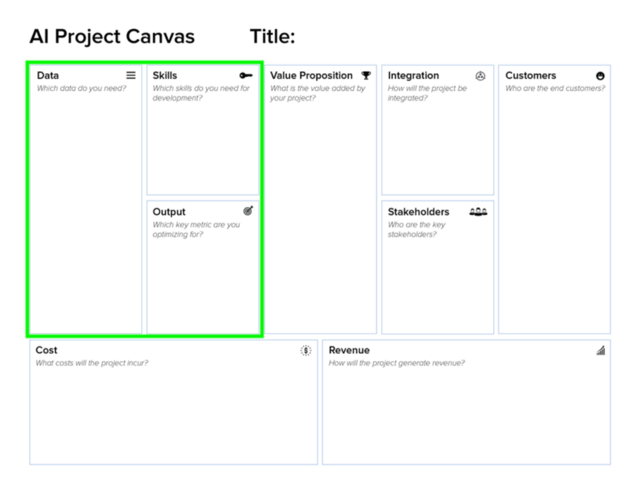 The AI Project Canvas helps you to structure and convey the holistic idea of your AI project to others. 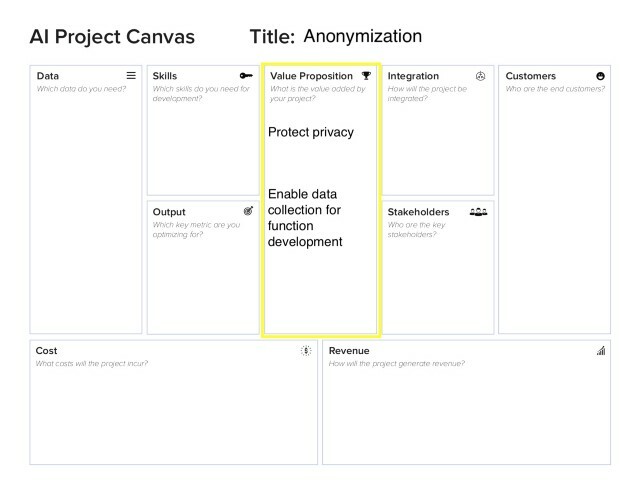 The AI Project Canvas consists of four distinct parts: the Value Proposition as the central part of your project, the Ingredients on the left, the integration for Customers on the right, and Financing on the bottom. All these parts are vital aspects of any AI project. Let’s go through each part and start with the Value Proposition. 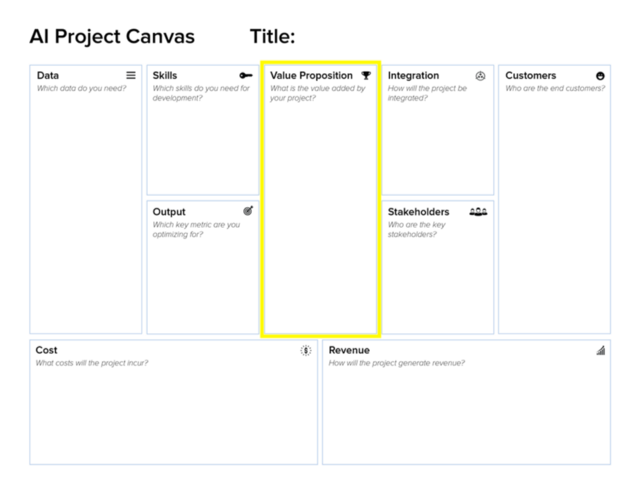 The heart of the AI Project Canvas is the Value Proposition. It explains the value that the project will add to your organization. 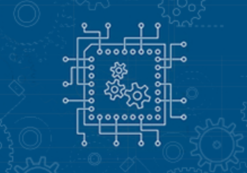 A value-add can be a new AI-powered product to generate revenue, or improving an existing process to cut costs. What customer pain is the AI project solving? Which vitamins are you adding to enhance your customer’s life? Ideally, you can describe the Value Proposition in one concise bullet point. Listing many Value Propositions risks watering down the impact or failing to focus on the most important one. Side note: Trying out a new paper because it sounds cool will not get you far. What is the value-add of your AI project? Sufficiently answering this question help you focus on the task at hand and get you halfway towards securing funding for your AI project. Let’s look at the Ingredients block next. The Ingredients part consist of the Data, Skills, and Output blocks. Data is the main element that every AI project relies on. The better you can explain what data you need to create the value proposition, the better for your AI project. How much data do you need? Do you have already a prepared dataset or do you need to source it? Does it have to be labeled? What data format are you expecting? In the Skills block, you will define the expertise you need. Is it a computer vision or natural language understanding task? Do you need Data Engineers to help you write efficient software? Maybe even a Product Manager and a UX Designer to gather customer requirements and to design a workflow? The Output block shows the single key metric you’re evaluating on. Andrew Ng recommends in his book Machine Learning Yearning chapter 8 to define a single-number evaluation metric before starting the project. This helps you choose a good model in the first place and then to compare the performance of different models based on this metric. Output metrics could be accuracy, f1-score, precision or recall, minutes spent using the service, etc. The output metric could be supplemented with a sufficing metric, e.g. that accuracy has to exceed 95% (key metric) while taking no longer than 1s inference time (sufficing metric). After explaining the Ingredients part of your AI project, let’s talk about how you will bring your AI project to the Customer next. 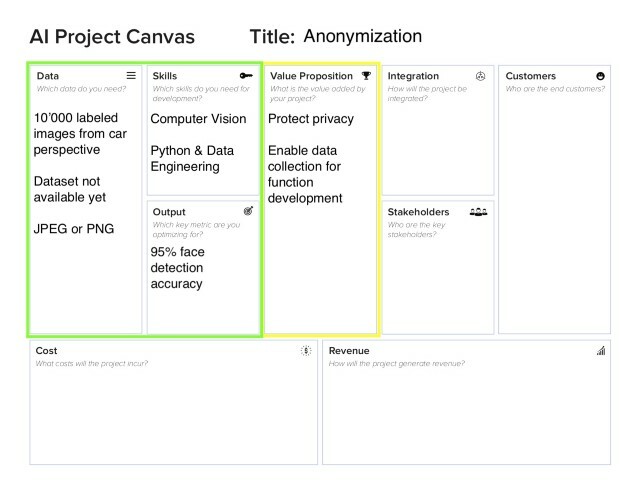 The right part of the AI Project Canvas covers the integration of your project into the current infrastructure, for stakeholders and the customer. AI products rarely live in an isolated world, hardly ever in a Jupyter Notebook. They always have to be integrated into an existing architecture. Explain where and how the project will be used. Where does it fit into the backend? How will the customer engage with your model? Will you use a microservice, monolith, or predict on-the-fly during streaming? Answering these questions will make it clear how the project will be brought into production. Listing the Key Stakeholders will give you an overview of important decision makers. 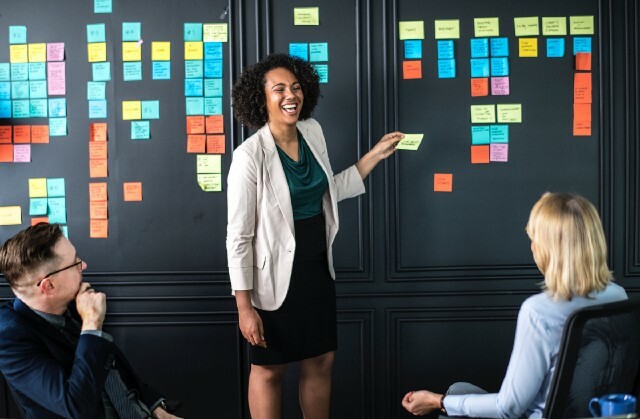 Key Stakeholders can be internal departments like legal, UX, management or even external stakeholders like contractors, owners, political or non-profit groups. The right-most block is the second most important block after the Value Proposition. Who is the Customer that you are designing the project for? Too often, Data Scientists fall in love with technical details of their model but lose track of who they are developing the model for. Does the customer really care about an accuracy improvement from 99.2% to 99.3% or would faster inference time suit them better? Write in detail about your different customer groups to guide your decision-making throughout the process. After defining how to bring the project to the Customer, let’s finally explore the Financial requirements of your AI project. Any project needs to have a sound financial footing. Answering questions about Costs and Revenue will put you in a strong position to explain why your AI project should be funded. The Cost block details which costs will occur. Do you need to outsource labeling? Will you incur compute costs? Don’t forget to mention the time or salary spent from your team members. You don’t necessarily have to write down absolute costs, giving an overview over cost categories is enough. Lastly, the Revenue block shows how your AI project will enable the company to get new income. Will the product be sold as a service or as a new feature category for users? Will the project reduce internal costs through automating processes or support an innovation initiative? Mentioning the type of revenue is an important part of any AI project. To summarize the AI Project Canvas, look at the circular dependencies in the image above. You will incur costs to wrangle data with key skills to arrive at the target output. With this model, you will propose new value to the organization. You then incorporate the product into the existing architecture while communicating with stakeholders. The customer will benefit from your project, thus generating revenue for your company. Enough theory. After explaining the theory behind the AI Project Canvas, let’s look at a real-world example next. In this previous post, you read about the real-world Data Science project on anonymizing faces recorded by cars to protect the privacy of individuals. 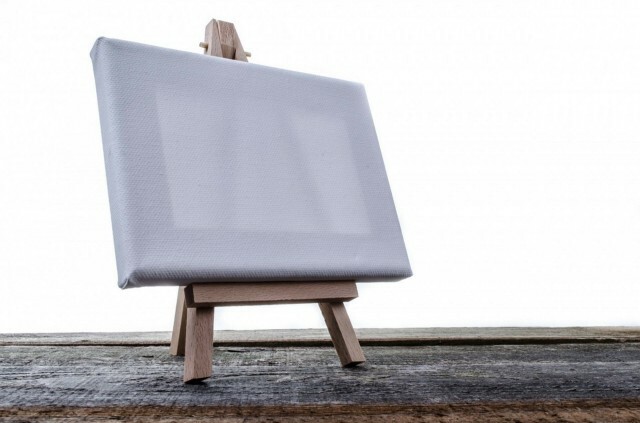 Let’s create the AI Project Canvas for this project. The Value Proposition is simple: protect the privacy of individuals. This will create trust, alleviate legal concerns, and still enable the company to collect the data needed to develop self-driving cars. Next, we will look at the Ingredients needed to create the Value Proposition. Figuring out the Data block is the most important part of ingredients pipeline. Since we will use pre-trained models, we need at least a realistic validation and test set to evaluate different models. Let’s say we need 10k images with labeled faces from a car perspective. We decide to get a new dataset specific to our use-case. In the Skills block, we list computer vision skills. We will implement the model in Python and could need Data Engineering skills to productionalize the model. The key metric for the Output block has been defined with OKRs, as defined in this post. We need to achieve 95% accuracy in detecting faces with an IoU of > 0.5. There is no sufficing metric needed now. Next, we move on to the value creation part. The project will be integrated through a microservice into the current video extraction service. Developers can call an API to anonymize their images. Key Stakeholders are the legal department, as they have to decide when the service provides legal benefits. Additional stakeholders are general management because they sponsor this project. Who will be the Customer of this project? Data-driven automotive function developers profit from anonymization because they can access their and potentially the datasets of others. Engineers are our most valuable customers. Last but not least, we will describe the finances of our project. For the Costs block, we are requesting the time of a Data Scientist for three months. We also need to contract a labeling company to gather and label our training data. Additionally, we will incur costs for cloud computing. To get Revenue, this anonymization microservice could be licensed on a Software-as-a-Service basis. 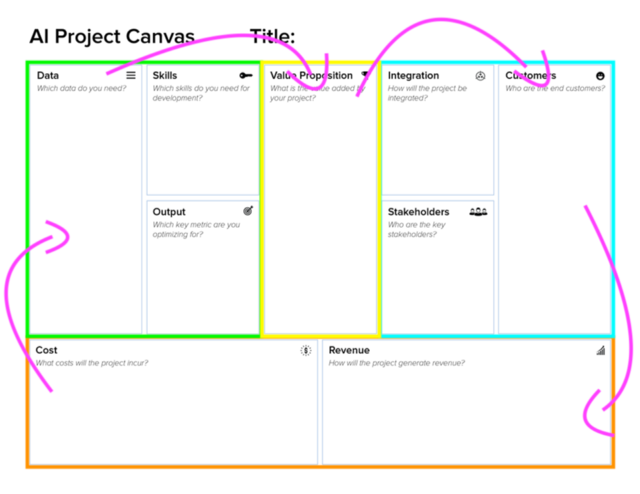 Congratulations, we have created our first AI Project Canvas! Do you see how the pieces fit nicely together to showcase the project? Don’t worry if some blocks are not as important in your project as other blocks. It’s important that you have considered each of these blocks. 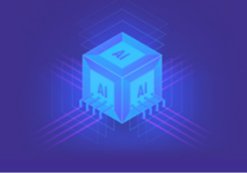 As a result, we have a thorough overview of our proposed AI project. We know what value we are trying to create. We can show what Data and Skills we need to create an Output. We know how the final model will be integrated into the existing architecture and who our Stakeholders and Customers are. Finally, we showed what Costs and Revenue we are expecting. 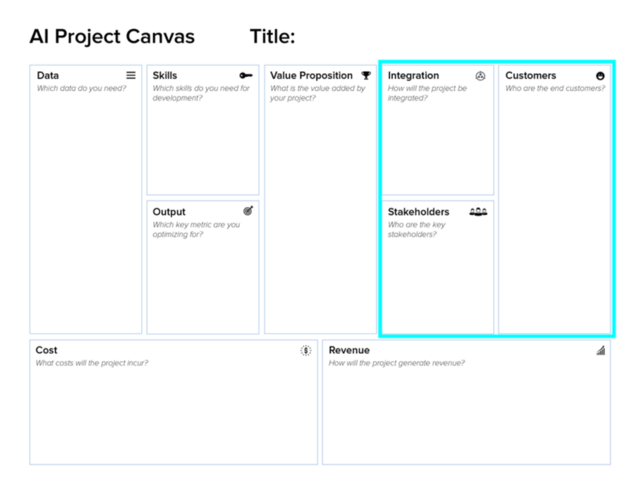 Just like the Business Model Canvas, the AI Project Canvas is a handy tool to quickly explain the value-add of your AI project. It’s intended to be used to explain the scope, purpose, and content of your project to management, stakeholders, and new team members. 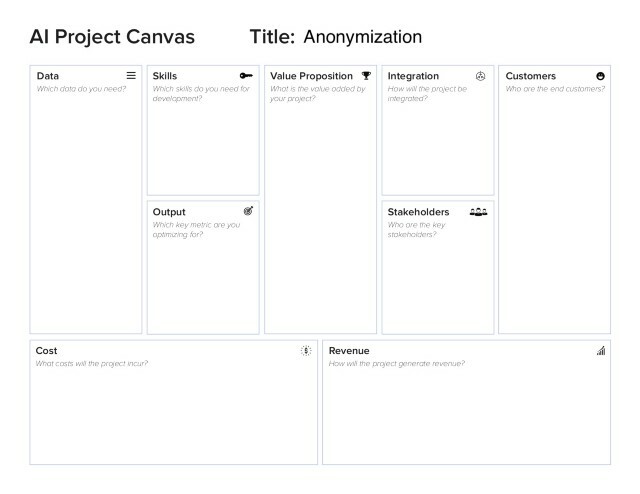 Use the AI Project Canvas to structure AI startups, AI products, and AI projects. It helps you think with the customer in mind and to design AI projects that really make an impact. 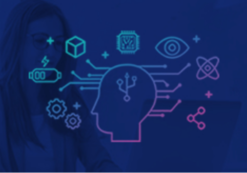 This post is part of an ongoing series aiming to educate Data Scientists in the area of customer-centric thinking and business acumen. We’re encouraging Data Scientists to get rid of the “Let’s implement this paper and see what happens”-attitude towards a “What value can we generate”-attitude. As Kai-Fu Lee notes, we’re entering the decade of AI implementation and need champions to productionalize Machine Learning models. Jan Zawadzki is Data Scientist at Volkswagon Grooup Services with 4 years of global experience in machine learning and management consulting.